Alongside every successful artist is a team of great people who are wiling to work long days and nights towards a united vision. I have been blessed to form this kind of team with the members of my label, NuBlack Music Group, so it is with great excitement that I invite you to the EP release party for P A T I E N C E — the newest project from my labelmate and fellow producer D Nilsz. You may recognize Nilsz from a beat battle in which we ended up competing in the final round, or from his opening spot at my tour kick-off show (among other places). If you are in the NYC/Jersey area this Saturday April 25th make sure you head to the exclusive listening party/performance beginning at 8pm. 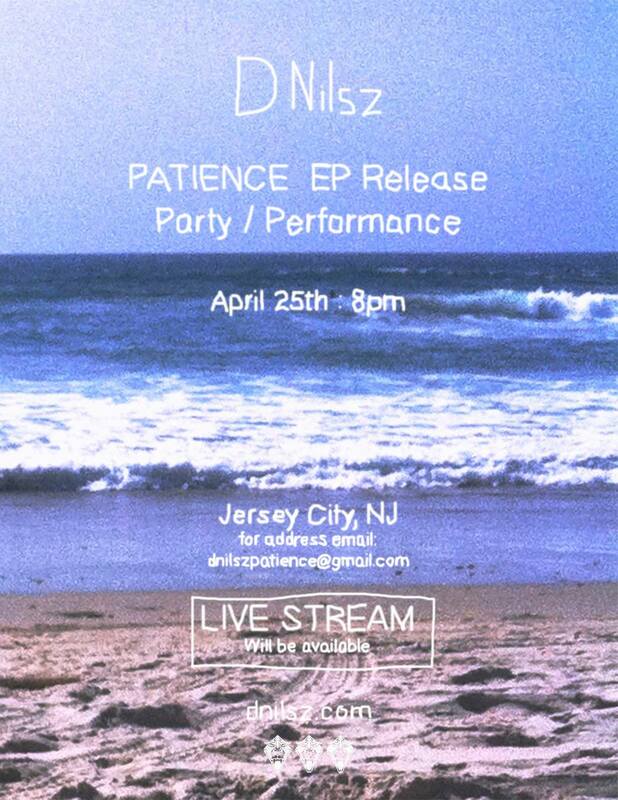 RSVP here on Facebook and hit up dnilszpatience@gmail.com for address and details.